Enamel hypoplasia is a development defect that can cause significant deformities to the primary and adult teeth, such as missing physical tooth structures, pits, grooves, or missing areas of the crown. When hypomineralization occurs, it causes a drastic decrease in the tooth’s mineral content of the enamel. In some cases, this can cause a tooth to have a translucent appearance while also leading to soft enamel. Both enamel hypoplasia and hypomineralization lead to serious dental problems, as well as cosmetic issues. Amherst Dental Group provides the specialized care you need. Teeth are composed of three main layers: the hard-outer layer of the tooth, known as the enamel, the inner layer of the tooth, known as the dentin, and the cementum, which covers the dentin to form the inside of the tooth. As you develop your primary and permanent teeth genetic defects or systemic health issues can cause a complication with the process of enamel development. However, other factors can lead to the condition as well, such as maternal smoking, deficiency of vitamin D, and premature birth. Certain infections and disease, like measles, can lead to the defect of the enamel. The American Academy of Pediatric Dentistry also reports that chemicals can cause the issues as well, such as fluoride and the antibiotic tetracycline. The results of the condition produce several cosmetic issues; however, the weakened enamel also causes tooth sensitivity and a heightened risk for tooth decay. Through early evaluations, your dentist in Williamsville will provide the appropriate interventions to protect the health of the teeth, such as fluoride applications and remineralization toothpastes. Even with early intervention, the teeth may become damaged. At Amherst Dental Group, we provide the preventive care you need while also repairing any damage that has occurred. When the condition is discovered, we proactively work to prevent any dental complications. However, even with the best preventive care, tooth decay can occur for those who have exceptionally weak or deformed enamel. As a result, dental bonding, fillings, or crowns may be needed to treat the decay to restore the health of the tooth. When living with the condition, prevention is the key to maintaining your oral health. With early detection, we will create a comprehensive treatment plan to protect your teeth from damage. This will include the use of the right toothpaste, great home oral hygiene, and preventive care from your dentist in Williamsville. For those who develop cosmetic imperfections, we can improve the appearance of the teeth with cosmetic dentistry. 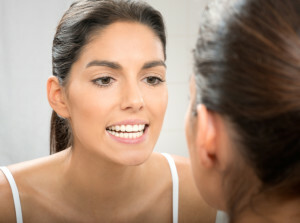 With the right care from the start with your dentist at Amherst Dental Group, you can keep the effects of enamel hypoplasia under control to minimize any complications. If you need treatment for the condition, contact our office to schedule a consultation.